You're getting bored of the same workout routine everyday: Monday, weights then treadmill; Tuesday, weights then treadmill; Wednesday- what do you know? Weights then treadmill. 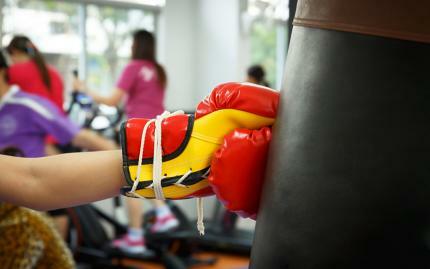 Switch it up and kick up the intensity of your workout with this high-energy boxing class at Midwest Training Center! Start off by learning the foundations of this popular martial art and combat sport. If you put your mind to it, you will increase your strength, speed, and endurance, sharpening your reflexes as you practice a series of offensive and defensive maneuvers. Don't expect your coach to give you a break! You'll be pushed to your physical limits. You will grunt. You will wheeze. And you will unintentionally curse at your coach as you perform every extra set you think you can't do. But at the end of the hour, after you catch your breath, you will feel on top of the world! 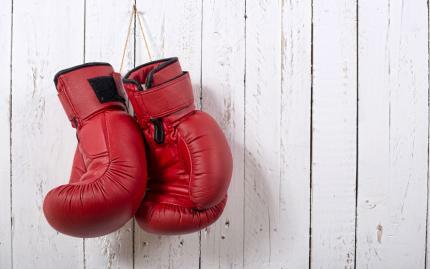 The instructor for this boxing class is Shannon States, an experienced trainer who has coached and conditioned famous names like Felice Herrig, a female mixed martial arts fighter. Mtc is like my second home.. All the coaches here are the best in the Midwest.. If you ain't training here you ain't training with the best!! MTC has it all great instructors a unreal gym with a new fitness center the facility is very clean and has a family like atmosphere great gym! Midwest Training Center gave me the skills and the confidence to compete at the highest levels of mixed martial arts. I believe their training system, staff, and facility are world class and was instrumental in building my career.